Jefferson Hampton Lee has just graduated from West Point. Enroute to his first duty station, Jefferson visits his grandfather George Lee. When he arrives at his grandfather’s mansion, Jefferson’s offered the mantle of authority to lead the South in reclaiming their rightful place in the community of nations. 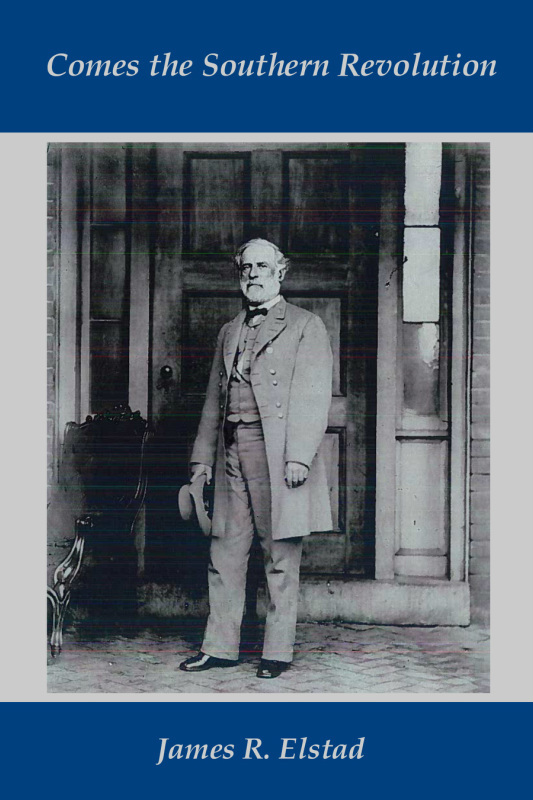 He’s told that before he died, General Robert E. Lee asked several friends to form a Council to “advise” his grandson on how to handle his estate. Over several generations, This Council has passed authority from grandfather to grandson. The original Council Members twisted General Lee’s original intent with the idea of furthering their own agenda. They felt having authority pass from grandfather to grandson gave a longer span of time for someone to create and carry out his plan. By the time Jefferson was offered the opportunity, most of The Council members were happy just to have the wealth and power that came from their position. Jefferson took their offer seriously. As Jefferson works his way up through the ranks his political and business connections, largely through The Council, enabled him to become a Four-Star General and Chief, National Guard Bureau. Unbeknownst to everyone, but The Council, Jefferson’s supposed arch-enemy in the political arena is none other than his best friend, who becomes President of the Republic of America. The night before hostilities commence, Rebel forces remove sixty-five truckloads of gold from Ft. Knox, and transport it to a location where the Knights of the Golden Circle have kept Confederate gold for almost one-hundred-fifty years. During his secession speech, Jefferson uses Representative Lincoln’s remarks, from the 12 January 1848 Congressional Globe, as proof that Lincoln was no more than an opportunist, who when it benefited him changed his mind. Jefferson also apologizes for the institution of slavery. As a proof of their sincerity he offers any person, who can prove at least 25% slave ancestry will receive five acres of excess federal land. The same offer is made to anyone who serves in the Republic of American military. A couple, who can prove their slave ancestry, who both serve in t he ROA military, could receive twenty acres of excess federal land. As the tale progresses several characters from the Federal and Southern sides are on a collision course with destiny. One is Garfield C. McClellan, who as a young lieutenant was rescued by First Lieutenant Jefferson Lee during the Vietnam War. When Jefferson implements his plan, Garfield is the Commanding General of the 40th Infantry Division in California. Both Jefferson and Garfield deal with their faith, or lack of, on occasion; with sometimes-disastrous results. In the end Jefferson’s ego and hot-headedness is his downfall. Dr. Wade Hampton’s the Chairman of The Council, and executes Jefferson because he abused his power more than once. He killed a subordinate and used the nuclear option, without consulting them. After Wade kills Jefferson he’s captured by the Federals who try to get information from him. In the end Wade is rescued by fellow Rebels. Now his goal is to implement a new secret weapon and to negotiate for Arizona, Idaho, and New Mexico to secede and join the south. He’s also informed the Shoshone Indians in Nevada want to take back the land the USA stole from their ancestors and join the South.